Season 5 of Fortnite just dropped in. The above trailer shows various elements of the Fortnite world being zapped away. Most notably, we see the burger mascot being teleported to a California desert in real life. We see someone spraying graffiti on its tongue when suddenly that world becomes Fortnite and an onslaught of random historical items drop in. Finally, we’re presented with the tagline: Worlds Collide. “Viking ships, desert outposts, and ancient statues have appeared across the island. Hop in an All Terrain Kart (ATK) with your squad and uncover all-new mysteries and locations that await.” Additionally, players can go back to the old days (as expected) with Wild West Heroes, available during the Road Trip event. And of course a new season means a new battle pass. Featuring 100 levels and over 100 new rewards this pass costs 950 V-bucks aka ($9.50). For players who don’t want to wait to get their Battle Pass tiers unlocked, Epic is offering a second version of the Battle Pass that starts with the first 25 levels already unlocked. This one will run you 2,800 V-Bucks instead. With each upgrade tier available for an extra 150 V-Bucks. Hence how players can end up spending so much on this free game. 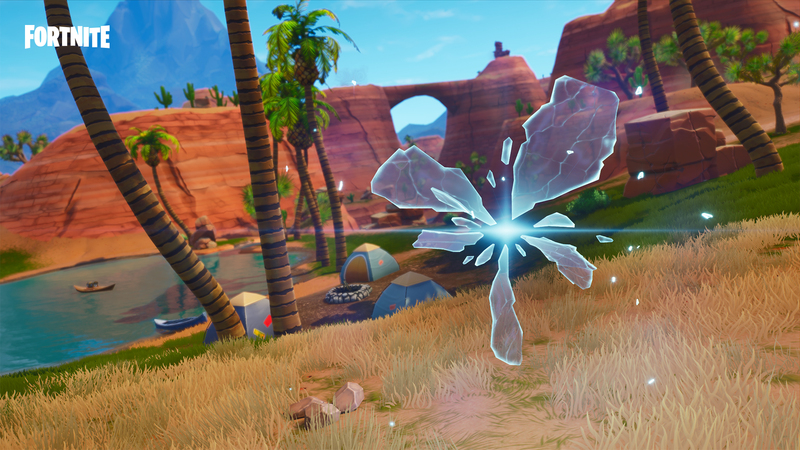 Fortnite fans can take their time, a bit more, this season. While there are still progressive challenges to unlock new armor for Battle Pass skins these challenges can be completed at anytime: not just within the season. Season 5 kicks off on July 12 and will run through September 25.